The good old class 1975. 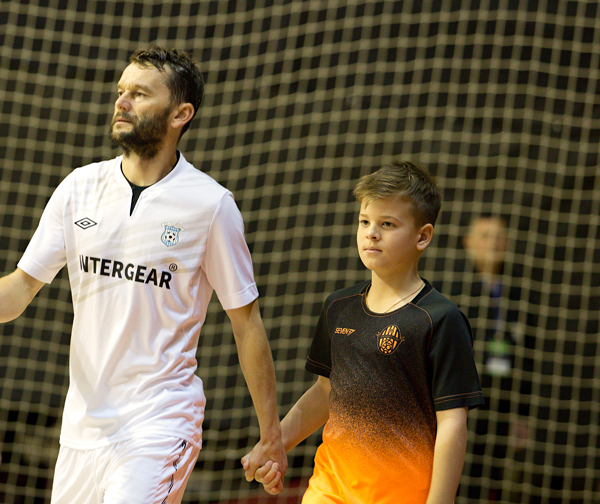 Roman Mares running in the pitch, Libor Gercak defending the goal: there is no sunset for two Czech futsal legends like them. And head coachTomas Neumann is aware of this, so that he will again include the both of them in the roster moving to Jyväskylä in order to take part in the Four Nations International challenge on Finnish soil. More experience will be added by long time international players Resetar and Janovský. Czech Republic will face hosts Finland, Russia and Denmark in a useful and interesting test. In hard days for local futsal, (as Gardenline Litomerice is leaving the league through "unpleasant declarations" released today in an official statement from the club) maybe the national team can provide some comfort back to the game fans. Roman Mares is still providing great performances standard. I'm sure young players like David Cerni for example can still learn so much from him. Roman is a professional athlete who belongs to the national team" said head coach Tomas Neumann in declarations reported by eFutsal.cz. He added "I'm very happy to face Russia which is one of the European top teams: they will represent a good test for us. The quality of Finland is improving fast and also the match against Dennmark won't be easy: we played them two years ago and after a big battle we managed to win 4-3. For sure this will be an interesting tournament".